We've all, for years and years, bemoaned the off-season tomato. As a matter of fact, we've often bemoaned the in-season tomato, but that's another story. But I remember Fat Guy once extolling the virtues of a tomato called Campari. Now, there seems to be a wondrous world of off-season tomatoes. Kumatos, Camparis, all sorts of little guys, you name it. Now, they're never going to be as good as walking into your backyard (you lucky devils that have backyards with gardens) and plucking a vine-ripe, juicy tomato off the plant, walking inside, cutting into it, adding a little flaky salt and going aaaahhh. But you know what - they ain't half bad. It's funny you bring this up. I just bought some Kumatos yesterday. Haven't tried one yet. I'll report back. I had to bring this up now. Because I was going to post something about sponges the other day, but Shel beat me to it . Most grocery store tomatoes are abominable; picked green in the Rio Grande Valley or similar clime, shipped north, forced-ripened with carbon dioxide, and utterly pale, insipid, and tasteless. I have had decent luck getting Camparis and Romas over the winter, and when I'm really jonesing for fresh tomato taste, I get cherry or grape tomatoes. In our part of the world -- latitude roughly the same as Oklahoma City and Nashville, TN -- I can generally start finding acceptable tomatoes in mid-April at produce markets. They allege to be vine-ripened, usually in Georgia or Florida. They're a little late this year because of a late spring. We also have "hoop house" tomatoes -- started early under clear plastic stretched over Quonset-hut-style frames, plastic removed when weather warms up -- that are generally ready by the first of May, and again late this year due to the later spring. I do find decent tomatoes almost year-round at some of the higher-end restaurants. I guess they're greenhouse grown. Edited to add: I canned several bushels of tomatoes in different preparations last summer. I have been astounded at the difference in taste between them and canned tomatoes from the grocery, even San Marzanos. Sauces made with my canned tomatoes taste like they were made with fresh tomatoes. I'm just about out of everything now, so I'm anxious for tomatoes to come in fast and furious so I can can a lot more this year. I've had pretty good luck year-round with the Cherub cherry tomatoes and, for slightly larger, the Campari tomatoes. The larger tomatoes are usually a bust out of season, although they have a better chance of being good when they're still on the vine. Campari are usually really good! Also, Allegro and some of the cherry/grape tomatoes. Count me as another fan of Campari. Funny I just came home with a package of them from the store. Campari, I believe, are grown in greenhouses and all the ones I've seen for sale have been produce of either Canada or Mexico. I will have to give them another try. Tried once and thought it was just hype. I almost exclusively buy grape tomatoes when a farmer's stand near me is not in operation. BTW the Rio Grande Valley is not a big producer of tomatoes. I buy tomatoes in winter at a "second hand" store, they sell fruit and vegetable that the large changes cant sell due to being ripe , yes you heard right, they are perfectly ripe and so yummy. Yes you can get over ripe stuff to but most things are just ripe . I get perfect tomatoes while saving the environment. 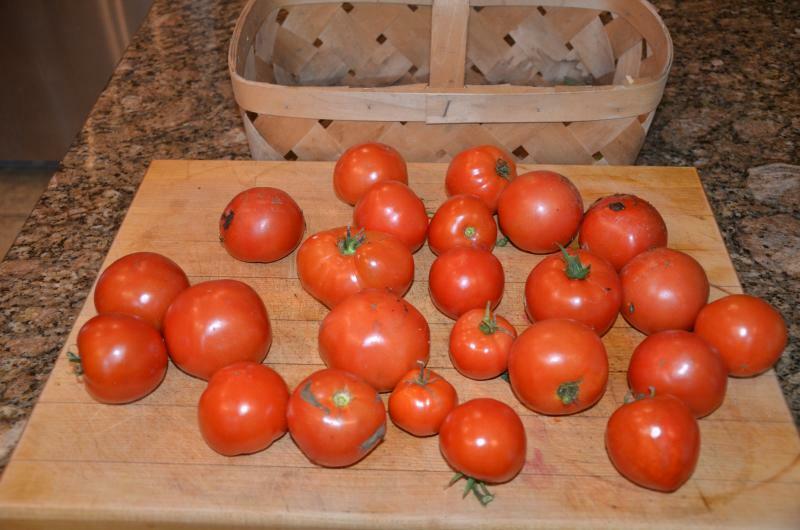 I used to buy Romas in the dead of season - they seemed to have the best flavor. lately we're getting off season tomatoes grown in Canada! I reckon the hydro-electric power costs make it feasible - lots of artificial light and heat. and the tomatoes-on-the-vine are - except for really dead mid-winter - pretty decent early on. I'll wait for the good stuff! One of my favorite brands bands. I used to swear by Kumato but the last time I bought Kumato they weren't much better than what we call Mexican bullets so I stopped buying them and switched to Campari. I am still buying Campari but will have to try the Kumato again in case the last batch was an anomaly given that people on this thread seem to like them. lately we're getting off season tomatoes grown in Canada! I reckon the hydro-electric power costs make it feasible - lots of artificial light and heat. South-western British Columbia has some very large greenhouse operations and they do produce some decent tomatoes, peppers and cucumbers. The climate is mild and days are fairly long for most of the year. The greenhouses can produce for 10 months of the year w/o much in the way of extra lights, I believe. They usually use boilers to heat water that runs through pipes to heat the greenhouses. Those are usually heated by natural gas or biomass (wood chips). Hydro-electric costs are lower in BC than in some other parts of Canada and the US, but I don't know how they compare to natural gas in the greenhouse options. gosh - thanks for the links! fascinating stuff. I've just polished off a pack of the Windset Farms "Symphony" packs, and they were very good. A couple of them were even a bit too ripe. I've had good luck with a lot of the BC Greenhouse tomato packs, from various farms, even in the dead of winter. Nature Sweet cherry tomatoes are better than your average store bought tomato, IMHO. If it says 'product of Canada', I would think it was actually grown in Canada also. I know the company does have some US greenhouses, but their BC operations are pretty large. Huge greenhouse complexes in Delta/Abbotsford. The size of the greenhouses are surprisingly large. Houweling’s Tomatoes proposes the installation of two 4.4 MW GE Jenbacher natural gas fired, combustion engine driven, cogeneration units. Cogeneration (cogen) through combined heat and power(CHP) is the simultaneous production of electricity with the recovery and utilization of heat. The Air Quality Studies are interesting. The newer technology reduces air contaminants significantly. True enough for more processed stuff, but really - if a tomato is grown in Canada, picked and packaged, I think it's safe to say it's a product of Canada, don't you? We could argue that the TFW program may step over the Canadian labour qualification though. A food can still be labelled "Product of Canada" if it contains small amounts of imported food, such as spices, food additives, vitamins, and flavorings. The origin of this thread was about the taste of the out-of-season tomato and I believe that greenhouse developments have made tomatoes that are quite tasty almost year round, even in Canada. However, I do think we need to look at greenhouse gases (funny to say that at that level, but it's true). I think we are on a planetary roller-coaster in terms of weather and temperature so I think we will be increasingly dependent on greenhouses and controlled growing conditions. I have found Kumatos and also Campari's at my local Trader Joe's, although the Campari's are not as consistently available, and I prefer them. It's the only place I can afford them. I also like Scarlet Pearl grape tomatoes available from my regular grocery for a reasonable $2.79 for a 10 oz./1 pint package for off-season tomatoes. They taste good, seem to go further than larger tomatoes and make a colorful and tasty garnish, even when you use just a few. Let's face it; if we want tasty tomatoes off-season, we are going to have to pay for them. I'd never heard Smithy's Garrison Keillor quote before, but I've always (at least for the past few decades) referred to grocery store mainstream tomatoes as "styromates". I would rather go without than eat a pink, mealy styromate. I pick them out of restaurant food if offered. Edited: The Scarlet Pearls are labeled a product of Mexico, but also bear the name of Red Sun Farms out of Kingsville, ON. They are a staple at this time of year. It's very interesting to me that Canada, which I have always thought of as the "Great White North", is the king of North American winter tomatoes. Sometimes I see them for $3 a container, usually $4. But then again, in summer, at the farmer's market, most tomatoes run in the $3 - $4 per pound range.